The New Year is a great time to revamp your skincare regimen. Here's how to keep your skin at its best. HOUSTON (KTRK) -- You probably have most of your New Year's resolutions underway, but have you thought about committing to a better skin regimen? Everybody -- men and women, young and old -- can benefit from a little skin rehab. We have to prevent, protect and repair our skin to keep it looking its best, and that doesn't mean a ton of expensive products and lasers. Dr. Sherry Ingraham with Advanced Dermatology says a couple of products with the right ingredients will do the trick. "The best thing you can do at the beginning of the year is take a selfie and look at your skin and see what you can do to make your skin better," says Ingraham. If your goal is to improve sun damage, Ingraham says to invest in antioxidants. "These are vitamin C-packed products that help prevent sun damage. They can help reverse some of the signs of aging -- brown spots, fine lines -- but they actually build up in your skin and help when you're exposed to the sun to prevent damage incurred from the sun," Ingraham explained. For acne-prone skin, look for salicylic acids and hydroxy acids. "One of the best products you can use for your skin at home is one with benzoyl peroxide, and I like this product from Neutrogena because it can be used as a cleanser or a mask," Ingraham added. These ingredients can also help with oily skin, but Ingraham also recommends a clay mask to reduce oil. "You want to use it about twice a week, and then find a rhythm. You don't want to use these too much because then you could rebound with too much oil," explained Ingraham. "If you have dry skin, you don't want to wash with a soapy cleanser. You want to use something that maintains the PH of the skin, and that's where this Micellar Water comes in," says Ingraham. Micellar Water removes makeup and cleans the skin without stripping the skin of its oils. "When you're looking for a product to moisturize and also help with aging, you want to look for products with lipids and hyaluronic acid," added Ingraham. During the winter, hands often suffer from over-washing. Dr. Ingraham likes Bliss Glamour Gloves to help hydrate and improve the appearance of hands because they're packed with moisturizing properties. Finally, for anti-aging, look for retinoids. 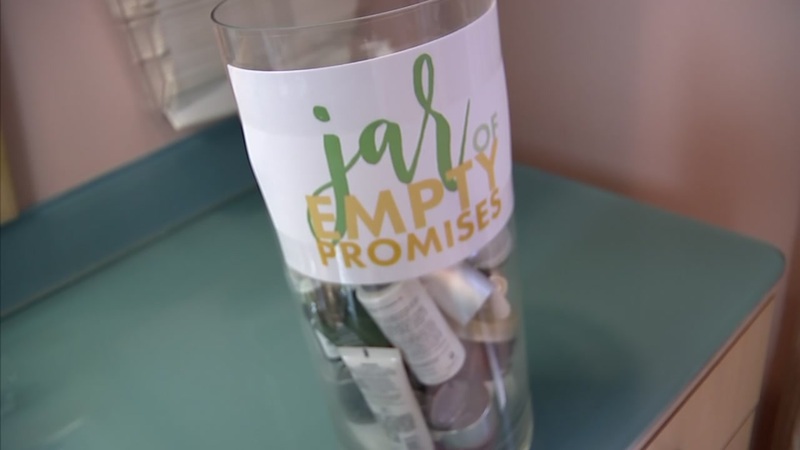 "They not only help prevent wrinkles, but they help prevent skin cancer, acne and help lighten brown spots," said Ingraham. "Apply a retinoid every other night and apply a moisturizer on top if you have dry skin," adds Ingraham. Another anti-aging ingredient is the antioxidant chlorophyllin copper complex. "One of the best things it does is help with redness. It also stimulates collagen," said Ingraham. Everybody needs broad spectrum sunscreen of SPF 30 or higher. Ideally, look for one with zinc oxide in it because it won't decompose as quickly in the sun. SEE ALSO: Do your favorite beauty products live up to the hype? Many women fall victim to the misleading claims of beauty products that can't live up to their hype.